Summer dressing isn&apos;t complete until you&apos;ve found the perfect pair of flats to take you from work to weekend. Check out our collection of espadrilles, ballerina pumps and slip-ons, the perfect wardrobe staples. With over a thousand styles on offer, finding the perfect pair of flats has never been easier. Our collection is updated frequently each season to give you the latest flats in a variety of styles and colours. Flats are comfortable enough for weekends and holidays and pretty enough to elevate even the most casual outfit. Whether you prefer the classic simplicity of ballerina pumps, the summery elegance of espadrilles or the versatility of slip-ons, our collection is sure to have the perfect pair of flats for you. Flats can be worn with just about anything and everything. Jeans and tees, skirts and jerseys, gorgeous frocks, capri pants, shorts and blouses, jumpsuits, and even suits and formalwear. Comfy enough to take strain off your feet, flat shoes can be every bit as dressy as heels when you find the right pair, making them a must-have for every wardrobe. 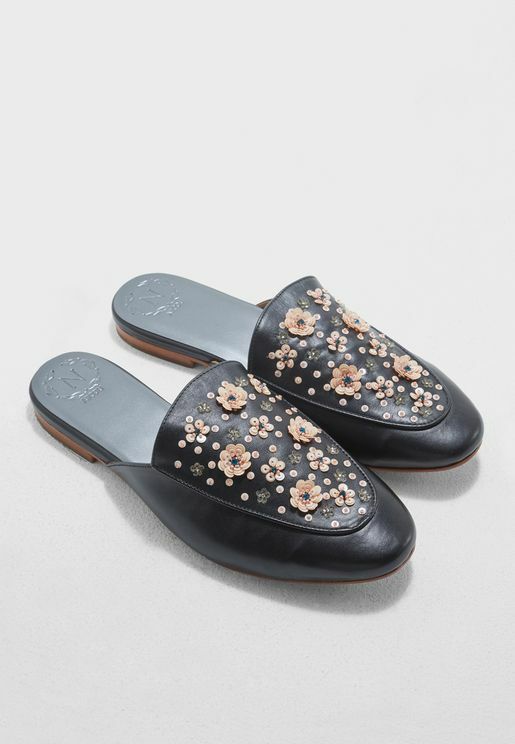 In search of the prettiest flat shoes online? We’ve got you covered. We offer a diverse range of ladies flat shoes from top brands, including COCO, Call it Spring, Dorothy Perkins, New Look, Tommy Hilfiger, and Topshop. Browse flat shoes for women in various colours, styles and materials, from neutrals to animal print, metallic, multi-colour, monochrome, and more. Buy flat shoes online for women at Namshi for a easy, enjoyable shopping experience.